Catherine McKenna, federal minister of environment and climate change, says a recommendations from a recently appointed Expert Panel on Climate Change Adaptation and Resilience Results will help protect communities across the country, according to a press release. The Expert Panel will advise the Government of Canada on measuring progress on adaptation and climate resilience to better understand how federal, provincial, and territorial adaptation efforts are building Canada’s resilience to climate change, for instance, by providing up-to-date information, supporting climate-smart infrastructure, and updating building codes. “By developing made-in-Canada adaptation expertise and technology to deal with the effects of climate change, we will create good middle-class jobs and spur innovation. The work of the Expert Panel will help us to better understand how all levels of government are helping to protect communities across Canada from the effects of climate change,” said Mckenna. 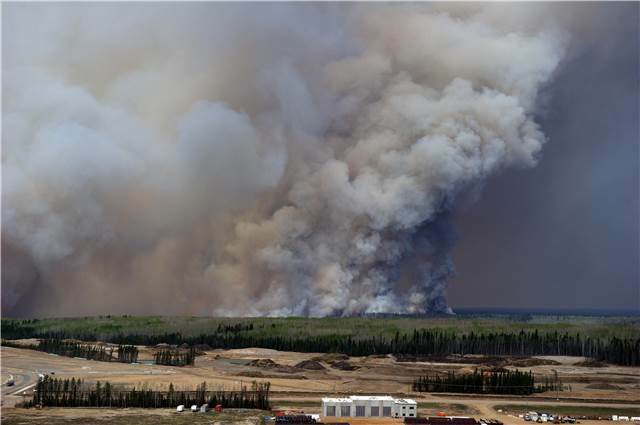 The 2016 Fort McMurray wildfire displaced 90 000 people, destroyed 2 400 homes and other buildings, and caused disruptions in local economies. With insured losses of approximately $3.5 billion, it was the costliest natural disaster in Canada’s history. More recently, British Columbia has been experiencing its worst wildfire season on record. Since April 1, 2017, 1105 wildfires have razed approximately 10 114 square kilometres of British Columbia. More than 45 000 people have been displaced by the fires this summer, and approximately 2500 people remain evacuated from their homes, with 154 fires continuing to burn. So far this season, wildfires have cost the province $309 million, five times greater than the amount budgeted. The panel will also support the federal government in better communicating to Canadians how we are preparing for and adapting to the current and future impacts of climate change. Dr. Blair Feltmate, head of the Intact Centre on Climate Adaptation at the University of Waterloo, will chair the Expert Panel. “All regions of Canada are subject to the impacts of a changing climate. In response to these impacts, the Expert Panel will serve a critical role in informing how we measure progress on advancing resilience and limiting extreme weather risk experienced by Canadians,” said Feltmate.